iCon Steve Jobs: The Greatest Second Act in the History of Business By Jeffrey S. Young. Tunde Bakare is a Nigerian Prophetic-Apostolic pastor. He has received national and international attention for his televangelism, which has sometimes been critical of the Nigerian government. He presides over Global Apostolic Impact Network (GAIN) - a network of churches, ministries and kingdom businesses committed to advancing the Kingdom of God on earth. Dr. Bakare is also the President of Latter Rain Ministries, Inc. (Church Development Center) in Atlanta, GA, USA. These are, indeed, trying times for Nigeria and its constituent ethnic nationalities. Political instability threatens to rear its ugly head once again, ethnic militias and insurgencies endanger the continued existence of the country, crime and criminality have assumed crisis proportions, and the economy remains in a long- term state of underperformance. In these circumstances, there is need for a well-researched book detailing the reasons for these manifestations of systematic failure and proposing a realistic way forward. JONATHAN TUNDE OGBEHA WAS BORN IN THE CITY OF LOKOJA ON 1ST SEPETEMBER 1917 TO LATE JOSEPH ABU OGBEHA AND PRISCILLA RAKIYA OGBEHA- HIS BEGINNINGS WERE ROOTED IN THE ANGLICAN CHURCH AND ITS CREED, THE MILITARY ALSO GREATLY INFLUENCED HIM. A lively study of the late Fela Anikulapo-Kuti and a persuasive interpretation of the social context, instrumentation, lyrics, visual art, and people through which he produced his music. This is a story of Nigeria, told from the inside. After a successful career in the private sector, Nasir El-Rufai rose to the top ranks of Nigeria's political hierarchy, serving first as the privatization czar at the Bureau for Public Enterprises and then as Minister of the Federal Capital Territory of Abuja under former President Olusegun Obasanjo. In this tell-all memoir, El-Rufai reflects on a life in public service to Nigeria, the enormous challenges faced by the country, and what can be done while calling on a new generation of leaders to take the country back from the brink of destruction. 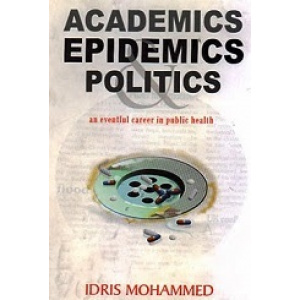 The shocking revelations disclosed by El-Rufai about the formation of the current leadership and the actions of prominent statesmen make this memoir required reading for anyone seeking to understand the dynamics of power politics in Nigeria. For many Nigerians, the Accidental Public Servant (APS) will be a gripping story about politics, power, friendship, ambition, greed, fear, betrayal, leadership and love, all set within running the affairs of government. It will provide insight for many with little knowledge of the pretences that passes for governance and for others, it will be an affirmation of legends told and heard– made personal by knowing the characters as intimately as citizens can know their leaders from afar. For a long time to come, it may be impossible to discuss the book and its contents without discussing the author. 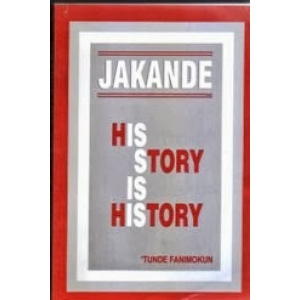 Perhaps there is no removing the man from the book and the book from the man but after the emotions ebb and the shock of oxygen igniting exposed secrets abates, the book will still hold value and lessons for historians, political scientists, policy wonks and people who want to understand Nigeria once upon a time, the better to appreciate where Nigeria is. Books are hard to review because every story is personal in its telling and in its interpretation. 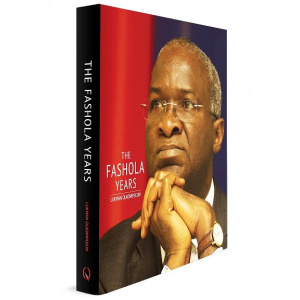 There is no topic today more delicate, complicated, emotional, scary, polarizing and energizing as the 2015 general elections and the book is a gift for all Nigerians who wonder why progress is slow and dream of doing things differently. By sharing his story in order to ‘make the case for public service’ there are clear lessons for anyone thinking of public service and how to navigate the problems and opportunities with governance and politics in Nigeria. Despite the 489 pages, there are still topics and issues which could have benefitted with more analysis, more insight from an insider who co-held the reigns of power and lots of questions have been and will continue to be raised by the book. And this is precisely why this book will endure and hopefully encourage more honest discussions about public office. As the gloves come off and attacks on the book and the author commence, a common complaint will be that those who come to equity must come with clean hands. But if that were the only way to look at books that document a personal narration of history, then none would be eligible to write. The balance between sharing for posterity and upholding codes of silence is a delicate one which few have to straddle and decide for what purpose they want to keep silent. If we do not have the opportunity for honest discussions about what takes place in government, Nigeria and Nigerians will be worse off. If there are three sides to every story: my side, your side and the truth, then between the telling of ALL, the truth will emerge. “President Obasanjo chose Umaru Yar’Adua whose ill-health, among other challenges, was known already constituted a serious impediment to the possibility of any inspired and energetic leadership. The view of many well-informed Nigerians is that Yar’Adua and his deputy, Goodluck Jonathan, emerged for no other discernible reasons than being ‘weak’ governors sympathetic to the ‘Third Term’ project and therefore handpicked as payback. “The subsequent electoral imposition of Goodluck Jonathan as president in 2011 via military occupation and rigging has been unhelpful in raising leadership quality. Jonathan went into a presidential contest without a campaign manifesto, boasting of no experience, merit and any track record of previous performance other than wearing no shoes to school and his ‘good luck’". "Just the first few pages of the book and I can't stop. The book starts hard....tough! The story of the Nigerian government from a perspective inside of government is sure to be hot; well, I think this one is explosive! I am reading and relating with what is going on now in the Nigerian government and whoa....!!!!" Nasir El-Rufai is a prominent Nigerian leader who in the past served as the Minister of the Federal Capital Territory of Abuja as well as Director General of the Bureau of Public Enterprises. As a prolific opinion columnist and public policy advocate, El-Rufai has become well known as one of the country's most outspoken voices on issues of governance, leadership, transparency, and social justice. El-Rufai studied at Ahmadu Bello University, Zaria, Nigeria, University of London, Harvard Business School, Arthur D. Little School of Management in Massachusetts, Georgetown University School of Foreign Services in Washington, D.C. and the John F. Kennedy School of Government, Harvard University. He holds a first class honours degree in Quantity Surveying (1980), a Masters Degree in Business Administration (1984), a Postgraduate Diploma in Computer Science (1985), a Bachelor of Laws (2008), Master of Public Administration (2009), and has attended several programs on Privatization and Leadership. 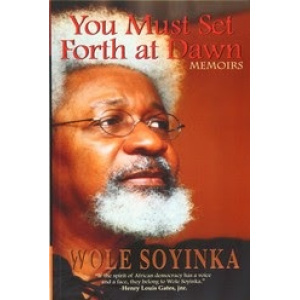 In 2005, he was conferred D.Sc (honoris causa) by the University of Abuja, Nigeria. Before entering the public service, El-Rufai ran a successful consulting practice, El-Rufai & Partners, between 1982 and 1998. He also held management positions with two international telecommunications companies, AT&T Network Systems International BV and Motorola, Inc. In October 2001, he was conferred a national honour, OFR (Officer of the Order of the Federal Republic of Nigeria) by the Federal Government of Nigeria. El-Rufai lives in Abuja, Nigeria, and is happily married with children. This is a book to present as a gift to your Boss, Friends, Colleagues, Business Partners and Family, to always be in their good book. DESMOND TUTU: recipient of the Nobel Peace Prize in 1984, retired as Archbishop of Capetown, South Africa, in 1996. He is active as a lecturer throughout the world and recently was a visiting professor at Emory University in Atlanta. 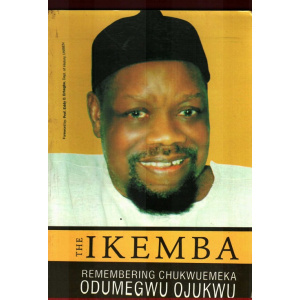 Not surprisingly, the volume of written material on chief Emeka Anyaoku is considerable. Yet, a common thread runs through all of them - each publication gives insight into the unimpeachable character of the man; This publication, Footprints of an Iconic Diplomat, is no different. it's only distinction being that it presents a largely pictorial version of the Emeka Anyaoku narrative; that it portrays a fullness of life, depth of purpose and breadth of impact that few can lay claim to; that it personalises the well-used phrase, a picture is worth more than a thousand words. 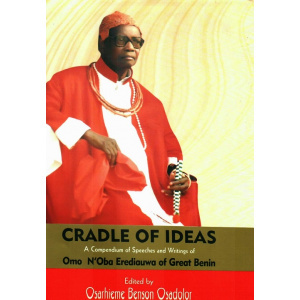 Indeed, this pictorial biography like its name, speaks to the extensive footprints in both the literal and figurative sense, of Nigeria's and certainly one of Africa's most respected diplomatic icons. This unique book about the late Dr. Kwame Nkrumah, President of Ghana from 1960 to 1966, grew out of a symposium organized by the Institute of African Studies, University of Ghana, which he founded. All of the contributors are Ghanaian scholars of various academic disciplines. This book is divided into three major section:policy and performance, economic policy and economic development; origin and performance of the state-owned enterprises; agricultural policy, industrialization, foreigntrade and neocolonialism. Peter Firstbrook spent many months in Kenya researching the history of Barack Obama's family. Peter is the only person to have traced Obama's roots from the present back through more than twenty generations, thanks to the Luo tribe's remarkable oral tradition. Seen though the eyes of the Obama family this will be the story of an African dynasty going back over 400 years. It is a truly astonishing drama culminating in the inauguration of Barack Obama on 20 January 2009, watched by Obama's African family on a flickering television clustered under a group of trees in the twilight of Kobama village in Kenya. A very special hundred or so men, women and children amongst billions all around the world who viewed the momentous event of the swearing in of the first black President of the United States. This book establishes the early ancestry of the Obama family in the Alego region, telling the story of farmers and fishermen, of love and tribal warfare, of families lost and found. It traces the Obama roots from famous tribal warriors in the seventeenth century to the first encounters with the white man in the early 1900s; generation by generation we follow the family through colonial rule and the fight for Kenyan independence, including the Mau Mau and the relationship of Barack Obama's father with President Kenyatta. This is a book about a family whose destiny is unknown to them. It is a true testament to the belief that any person can make their mark in the world no matter how humble their origins. There is a general agreement that piracy; counterfeiting and passing off are unfair. However, there is often surreptitious - or even open - sympathy for, say, those who purchase counterfeit designer fashions or the latest technical gadgets. The pirate is even sometimes represented as a daring evil hero. 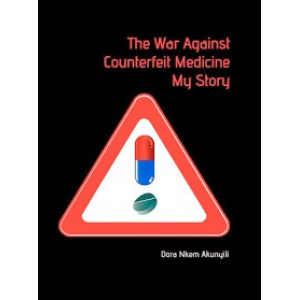 In this book, Prof. Dora Nkem Akunyili, Director General of Nigeria's National Agency for Food and Drug Administration and Control, presents a unique study of a global phenomenon in which law-breaking and profiteering prevail at the cost of human health and life - and of the ways in which this can be fought by appropriate legislation, regulation and enforcement. Lightning never strikes twice, but Steve Jobs has, transforming modern culture first with the Macintosh and more recently with the iPod. He has dazzled and delighted audiences with his Pixar movies. And he has bedeviled, destroyed, and demoralized hundreds of people along the More... way. Steve Jobs is the most interesting character of the digital age.What a long, strange journey it has been. With the mainstream success of the iPod, Pixar's string of hits and subsequent divorce from Disney, and Steve's triumphant return to Apple, his story is better than any fiction. Ten years after the leading maverick of the computer age and the king of digital cool crashed from the height of Apple's meteoric rise, Steve Jobs rose from the ashes in a Machiavellian coup that only he could have orchestrated--and has now become more famous than ever.In this encore to his classic 1987 unauthorized biography of Steve Jobs--a major bestseller--Jeffrey Young examines Jobs' remarkable resurgence, one of the most amazing business comeback stories in recent years. Drawing on a wide range of sources in Silicon Valley and Hollywood, he details how Jobs put Apple back on track, first with the iMac and then with the iPod, and traces Jobs' role in the remarkable rise of the Pixar animation studio, including his rancorous feud with Disney's Michael Eisner. In the Blink of an Eye is a tapestry of life itself, evoking memories of times past, re¬visited in today's climes. 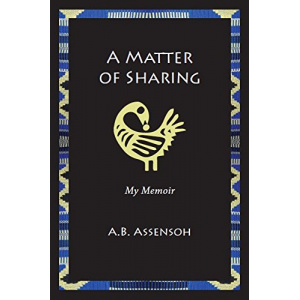 Social justice, love for humankind, need for resilience, and interviews with achievers to lift our spirits, are the threads that run through this beautiful book, woven carefully by the author with wit and elegant language to make the reader feel at home. Using language at its brilliant best, Eugenia Abu brings us to tears in tributes, gives us joy in humour and looks us in the face in dealing with social issues. Eight chapters of non-stop enchantment take us . through a tease of men, gender .advocacy, literary reviews, personal joys and tragedies; re-uniting us with our inner souls and mirroring the society for the good of all of us. There is unparalleled Nigerianness, history and intellectual rigour. Then there are quotations to enlighten, and wisdom from far¬flung places, as well as critical analyses of national and world issues. 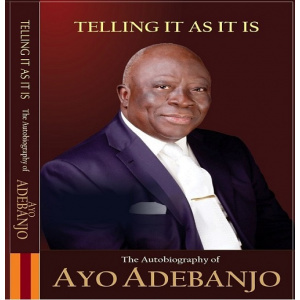 This book is all about the authentic story of a political icon in the history of public administration in Nigeria. JP Clark: A Voyage is the definitive biography of Clark by Femi Osofisan, himself one of Nigeria’s most accomplished playwrights. It chronicles the life and career of the man John Pepper Clark – Bekederemo, from his remarkable childhood to his emergence in the 60s among the best and brightest of Nigerian literature. For the first time, JP breaks his silence about the controversial position he took during Nigeria’s Civil War and discusses his relationship with Soyinka and Achebe. 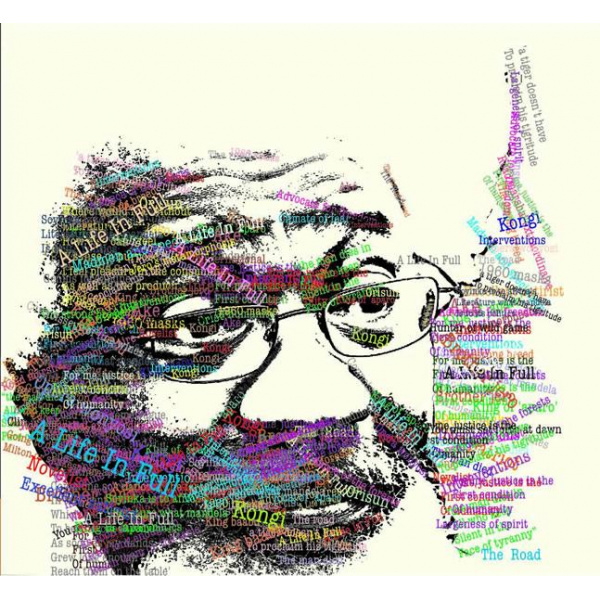 Generally regarded as the most lyrical of the poets of his generation for his simple, down to earth, visual and descriptive imagery, which makes his poems among the most memorable, JP Clark is perhaps the most underrated of Nigeria’s literary giants: Achebe, Soyinka and Okigbo, being the others. Ironically, the recently released memoirs of Ambassador Oladapo Olusola Fafowora titled Lest I forget: Memoirs of a Nigerian Career Diplomat reflects a degree of forgetfulness and inaccuracy of recollection. “No Easy Harvest” is a life story of Professor Francis Idachaba covering his humble birth, primary, secondary and tertiary school education in various places and locations. It all covers his work experiences in Nigeria and at the international arena. The book also puts in record Professor Idachaba’s family life, his philanthropic efforts and the honours he received. The title of the work is adequate going with the level of achievements of Professor Idaachaba: he has had no mean harvest. Though easy to read, the HARVEST did not come easy. The HARVEST came after many years of hard work, discipline, humility, probity, integrity, sincerity of purpose, focus and refusal to be distracted, and above all, the fear of God which his mother, Aya instilled in him. If, as claimed in the PROLOGUE, this autobiography is a product of empty diaries with few entries, then we give glory to God for the very rich and retentive memory He (God) has endowed the erudite Professor. There is no doubt that Professor Francis Suleiman Idachaba has achieved much in life. He is distinguished and honourable, indeed. Are there areas in his life that he actually failed? If so, I leave that to other readers to pick as I could not pick such in the autobiography. Though “No Easy Harvest” is a wonderful book about a great personality, but permit me to note the following; the chronologies of the events were lost between the international engagements and the Vice Chancellors appointments. For example, International engagements II (1996 -2006) presented in Chapter 10 actually predated the pioneer Vice Chancellor Appointment (1988 -1995) in Chapter 12; the national service should have been broken into segments to reflect the presentation of the international engagements; there are few typographical errors and missing paragraphs and gaps in this important and historic book; there is no record of extra-curricular activities. But I know that Professor Idachaba does walking so well. For example, while he was the vice Chancellor at Kogi State University, Anyigba, climbing the 4-storey Senate building was so easy that the younger security staff had to run after him. He was a director of many organizations including: Hallmark Bank and Unipetrol. He belongs to many professional and trade bodies and they include, Nigerian Institute of Directors, Nigerian Association of Commerce, Industry, Mines and Agriculture, Manufacturers' Association of Nigeria, Nigeria-Philippines Chamber of Commerce and Industry, Nigeria Importers and Exporters Association, Manufacturers Association of Nigeria, Nigeria-British Chamber of Commerce, Nigeria-Israel Association, and Spartansburg Chamber of Commerce S.C. USA. He was a member of the National Sports Commission under the chairmanship of Chief S.B. Williams between 1989 and 1990, and Federal Government Commission on the Re-grading of Traditional Rulers. His intimidating political profile, stupendous wealth, international connections, acceptability among his fellow politicians, transparent leadership, crusade against social injustice, corruption and inequity and above all, divine anointing are some of the qualities that stand him out. Governor Kalu has over 200 traditional titles to his honour and several books to his credit. He is yet to formally receive a special title conferred on him by the Alaafin of Oyo, and the Emir of Damaturu respectively. Electoral Violence and the Future of Democracy in Nigeria at the Nigerian Institute of International Affairs, Lagos, February 19, 2003, and Roadmap to Igbo Renaissance at the World Igbo Congress, Tennessee, USA, September 29, 2003.